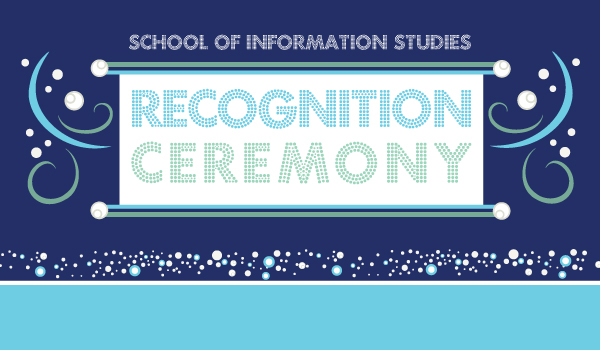 The School of Information Studies invites all eligible Winter and Spring graduates to the Spring 2019 Recognition Ceremony. We will be honoring our graduates and new Beta Phi Mu honorees. Graduates will be called to the stage and recognized. At that time you will have the opportunity to say a few words, if you wish. From the South – Take I-94 W/ I-41 N to Milwaukee. Take exit 312A toward Becher St. Keep left, follow signs for Lapham Blvd/Green Field ave. Merge onto S 4th St. Turn right onto W Greenfield Ave. Turn Left onto S. 1st St. Turn right onto E Pittsburgh Ave. E Pittsburgh Ave turns slightly left and becomes N Broadway. Continue onto N Young St. N Young St turns left and becomes N Milwaukee St. Turn Right onto E Chicago St. You will see the Italian Community Center on the corner of N Jackson St and E Chicago St. The parking lot can be accessed from N Jackson St.
From the North – Take I-43 S into Milwaukee. Take exit 72B toward the Lakefront. Keep right to continue on Exit 1D (follow signs for Plankinton Ave). Merge onto N Plankinton Ave. Turn right onto W Michigan St. Turn right onto N Jackson St. You will see the Italian Community Center on the corner of N Jackson St and E Chicago St. The parking lot can be accessed from N Jackson St.
From the West – Take I-94 East toward downtown Milwaukee. Take exit 1H for Saint Paul Avenue/James Lovell street. Stay on St. Paul Ave. Turn right onto N Jackson Street. You will see the Italian Community Center on the corner of N Jackson St and E Chicago St. The parking lot can be accessed from N Jackson St. There will be free parking available in the parking lot behind the Italian Community Center. The entrance is located off of Jackson Street. Looking for a Bite after the SOIS Recognition Ceremony? Milwaukee’s Historic Third Ward is known as “Milwaukee’s Arts and Fashion District” and offers the city’s most dynamic array of restaurants. It is a great place to grab a bite to eat, have a drink and continue your celebration. Here are a few options. Graduation is quickly approaching…Are you ready? Sunday, May 19th, 2019, at 9:00 a.m. Please visit HERE for more details about the UWM Commencement Ceremony.